The Indian Prime Minister Narendra Modi led Bharatiya Janata Party government at the centre will soon complete twelve months in office. Under the magnetic leadership of the former Chief Minister of Gujarat, the saffron party set an electoral record of sorts by bagging a total of 282 seats in the Lok Sabha, the lower house of Indian Parliament. This was the first time in the history of independent India that a party except for the Indian National Congress had bagged a majority of its own in the central legislature. The mandate which the electorate handed out to the Modi Sarkaar was the biggest electoral victory at the union level since the time Rajiv Gandhi stormed to power in Delhi riding on a massive sympathy wave generated following the tragic assassination of his mother Indira Gandhi. However, the critical question at this moment concerns the major talking points which have emerged during the past eleven months of Narendra Modi’s rule. Prime Minister Modi’s first year in office coincided with a string of electoral victories at the state level for the BJP. Courtesy the popularity of the Prime Minister, the BJP formed government in several states including Maharashtra, Haryana and Jammu and Kashmir. In the process, Narendra Modi was able to perform a number of political manoeuvres which the old guard of BJP under Vajpayee and Advani failed to achieve. For instance in Maharashtra, the BJP overpowered the might of the Shiv Sena by emerging as the single largest party. This altered the relationship between the two saffron outfits as now BJP was playing the role of the elder brother and Sena was forced to assume the role of a sidekick. Manohar Lal Khatter became not only the first BJP Chief Minister of Haryana but also the first non-Jat CM of the state. In the insurgency hit state of Jammu and Kashmir, BJP swept through the region of Jammu and formed a coalition government with the People’s Democratic Party (PDP). But all streaks come to an end as the law of averages kicks in. The challenge posed by Arvind Kejriwal’s Aam Aadmi Party was too humongous for the BJP to overcome. From being the single largest party in Delhi Assembly, the BJP was reduced to a tally of just three seats. Thus, the AAP ended the electoral dominance of Modi-Shah combine. The second most visible feature of the Modi government has been a stark increase in communal rhetoric and hate mongering against minorities. While Rashtriya Swayamsevak Sangh (RSS) chief Mohan Bhagwat repeatedly stated that India was a Hindu Rashtra, External Affairs Minister Sushma Swaraj wanted the Gita to be declared as the country’s national scripture as her cabinet colleague described the government as one of “Ram Bhakts.” The more insensitive remarks were credited to the likes of Yogi Adityanath, Sakshi Maharaj and Sadhvi Niranjan Jyoti. From Sadhvi’s Ramzaade remark to Adityanath’s crusade against love jihad, BJP MP’s left no opportunity to embarrass the government. Unfortunately, the communal atmosphere wasn’t limited to speeches and press statements. The disease had spread to the ground and manifested in the form of vandalism of several churches. Even the national capital of Delhi wasn’t spared as it witnessed communal clashes in Trilokpuri area which led to the imposition of a curfew. Congress leader Mani Shankar Aiyar had once referred to Prime Minister Narendra Modi as an “event manager” owing to his ability to host glitzy programs. If there was one thing which Modi did relatively better during his first year in office then it has to be in the realm of foreign policy. It all began with the invitation forwarded to leaders of SAARC nations prior to the swearing-in ceremony of the new government. What followed next were a series of diplomatic visits to countries like USA, Australia, Sri Lanka and Nepal. The Prime Minister’s public address at Madison Square Garden in New York was one event which caught the eye of the global media even though the same event saw his supporters getting into a fistfight with noted journalist Rajdeep Sardesai. One has to credit Modi for bringing Obama to India on the occasion of the country’s Republic Day and paying a visit to war-torn region of Jaffna during his visit to Sri Lanka. 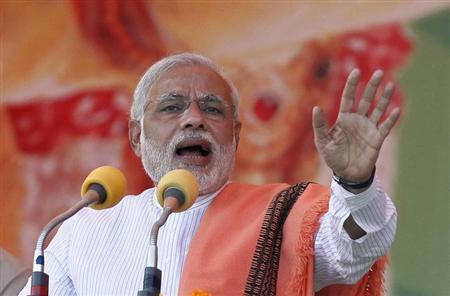 However, Modi’s foreign policy initiatives had their own set of gaffes. The first one was probably when Modi referred to Bhutan as Nepal during his address to the joint session of Bhutan’s Parliament. During Obama’s visit, the BJP government earned criticism from the Delhi High Court for putting up over 15,000 CCTV cameras for the security of a foreign individual during a short span of time but not doing the same for the citizens of the country. A noteworthy trend which has become very frequent during this government’s stay in office is the “ban culture.” From the BBC documentary India’s Daughter to AIB’s Youtube roast video to Tamil author Perumal Murgan, governments in different states as also the centre found themselves in the midst of heated free speech debates. Thereafter, came the Maharashtra government’s beef ban thus elongating the ambit of restrictions from literature and cinema to food. All of this was conveniently happening at a time when certain academic quacks made bogus claims of India having invented the world’s first flying machine and Prime Minister himself claiming that ancient Indians had knowledge of genetic sciences and plastic surgery as evident from the birth of Karna and the elephant head of Ganesha in Hindu mythology. But many free speech supporters were delighted on seeing the landmark Supreme Court judgement which declared Section 66A as unconstitutional on a plea filed by Shreya Singhal. Similarly, Delhi High Court’s judgement in the case of Priya Pillai, a Greenpeace activist, who was offloaded a flight while going to give testimony in relation to the violation of the forest rights of Tribal people in Madhya Pradesh before a British parliamentary group, was a vindication of the right to freely dissent. Another major goof up which this government might be remembered for during its first year in office was concerning the BJP’s position on black money. Supreme Court advocate Ram Jethmalani was not at all happy with Finance Minister Arun Jaitley refusing to name black money account holders. This earned the BJP the dubious accolade of being a “U-turn Sarkaar” but the brickbats got more severe with Amit Shah’s description of Narendra Modi’s poll promise of depositing Rs 15 lakh in the bank account of every Indian family after bringing back black money stashed abroad as a “chunavi juml”a or poll gimmick. Considering the massive mandate which this government possesses, it would be foolish to believe that the BJP would not complete its tenure in office. If the hapless UPA government under Dr Manmohan Singh can remain in power for ten years then the BJP can be expected to easily survive five years in office with a Prime Minister who is a naturally gifted orator and communicator. However, the challenge for the BJP lies not in occupying office as it was in the case of the politically fragile Congress led UPA. The BJP with a majority of its own should try and utilize these five years to prove why it’s a party with a difference which can only be done by providing world class governance facilities to the people of this country. Simultaneously the central government has to nurture an environment of pluralism and harmony where minorities are not threatened and intimidated. Very importantly, the government also has to protect the right to free speech of the citizens of this country as long as they do not transgress the reasonable restrictions in regards to the same.